• Competitive salary with great salary sacrificing options! 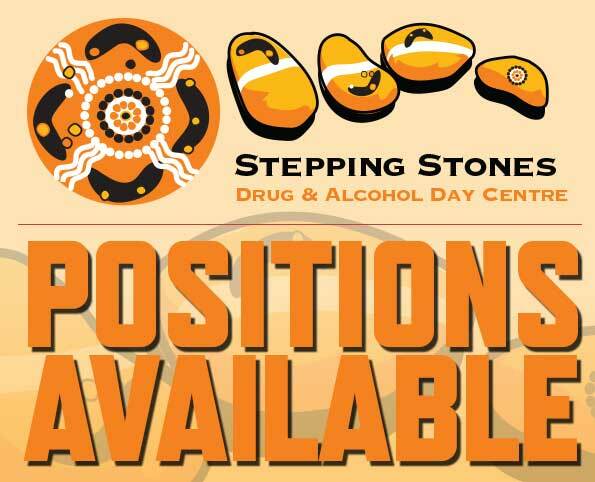 The Aboriginal Drug and Alcohol Council has a highly rewarding opportunity for a dedicated, passionate and highly skilled OUTREACH WORKER and a AOD SUPPORT WORKER to become part of its dedicated Stepping Stones Alcohol and Drug Centre team in PORT AUGUSTA, SA. The centre offers a range of treatment and non-residential alcohol and drug programs for Aboriginal people who live or come from outlying areas of Port Augusta who are experiencing problems caused by alcohol and drug use. In either of these pivotal roles you will be responsible for culturally competent, responsive, and comprehensive services aimed at prevention, early identification and intervention, and harm minimisation. The position assists in assessment, counselling, treatment and referral of people with health related problems as a result of harmful AOD use. These are truly rewarding and satisfying roles where you will get to make a lasting, positive impact on individuals. PLEASE ENSURE YOU REQUEST THE INFORMATION FOR THE SPECIFIC ROLE YOU ARE INTERESTED IN. Applications close: COB 31st August 2017.